Kaepernick - Hero or Victim? I have been a fan of the 49ers, off and on, for over 60 years. My stepfather, Harry Faville, had followed the team from its inception in the late 1940's, and by the time television arrived in the mid-1950's, he'd become a confirmed armchair athlete. As a boy, I dreamed of becoming a star receiver or defensive back, but I wasn't built physically to be a football player, and that idea quickly dissolved by the time I was in junior high school. In those days, people didn't worry about the fate of professional athletes. They might be injured from time to time, but it wasn't a concern. Similarly, the political opinions of professional athletes was never something fans or the media paid any attention to. In those days (the 1950's) public figures such as athletes, Hollywood actors, artists, or national heroes might have personal beliefs and sentiments, but they weren't considered important to the general public. Fame itself wasn't a credential. All that has changed, of course, over the last half century. Today, in our media-drenched world, everyone is supposed to have an opinion about everything, and what celebrities, and private citizens think or feel about any issue, is presumed to be newsworthy and important. If Y.A. Tittle or Joe Perry had had opinions about Senate races or race relations, the media in those days would certainly not have considered it worth reporting, and hardly anyone would have cared if they had been. We didn't expect celebrities or high profile athletes to advise us about politics and public relations issues. Today, we expect Barbara Streisand and Sean Penn and Meryl Streep to tell us what they think about political candidates, and important public issues. They have a lot of capital, and they can make an impact not just with their pocketbooks, but with their public personas. Today, professional athletes may presume to offer their opinions on any subject, and we're expected to listen seriously to them, as if their fame, and their accomplishments on the field of play, made them qualified to speak with authority. 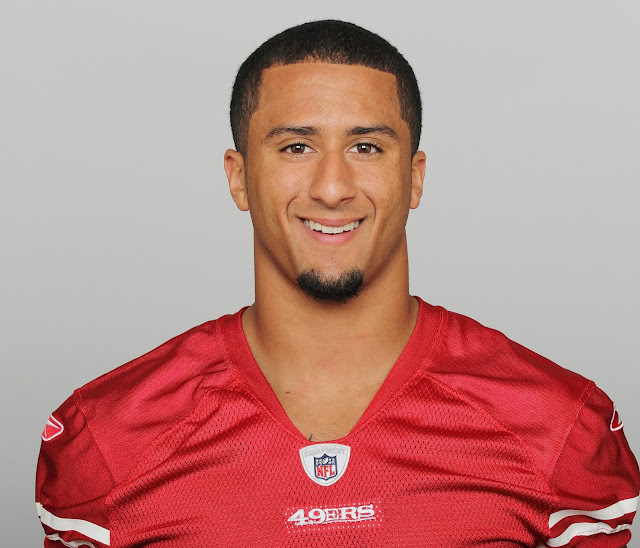 Colin Kaepernick came to the 49ers as a rookie in 2011. In very short order, he established himself as the team's star quarterback, leading the team to a Super Bowl berth in 2012 (which he missed winning by a whisker on the last play of the game), and to a 12-4 record (and a play-off appearance) in 2013. Kaepernick was tall, strong, fast and presented defenses with the quandary of having to cover his runs as much as his passing. Following the 2014 season, team management ushered head coach Jim Harbaugh out the door, in what must be one of the stupidest moves in the history of sport. After two stellar seasons, Kaepernick was faced with having his role redefined by an unqualified line coach who understood nothing about guiding an NFL offense. As the team tanked under Tomsula (in 2015) and Kelly (in 2016), Kaepernick was blamed for much of the team's lack of success. Kaepernick was not designed to be a traditional pocket passer. Harbaugh understood that, and used him in such a way as to maximize his gifts. The frustration which hung over the team the last two years, came increasingly to be focused on his shortcomings, rather than on management's failures to find a suitable coach. Owners who blame good players for their teams' poor performance, are scapegoating, and that's exactly what happened to Kaepernick. Some of the frustration of the team during the 2015-16 seasons inevitably rubbed off on the players. It can't have been easy for Kaepernick, who had basked in the limelight of a Super Bowl appearance at the age of 25, after only two years in the league, to deal with the negative publicity aimed at him and his team. In 2016, he began "taking a knee" during the National Anthem played before games. I have mixed feelings about the purpose and importance of our National Anthem. On the one hand, I resented having to parrot the "under God" clause in the Pledge of Allegiance. My stepfather Harry, once said that he felt playing the Anthem before every professional sports event, actually diminished its value and weight. Does playing it in this way--over and over (162 times for each game in a major league baseball season!) --really reenforce patriotic feeling and commitment, or is it just a distraction and cliché, going through the motions for the sake of appearance? Patriotism is a mixed bag. In any democracy, we have the right and obligation to form our separate, various opinions about issues, and to be suspicious and skeptical about what is expressed or advocated in the name or spirit of patriotism. In wartime, patriotism serves to unite and reenforce our devotion to the nation's cause. In peacetime, it may have other purposes. The idea that a protest of social or political conditions should be directed at the government, and its symbols (including the flag, or the National Anthem, or the Pledge of Allegiance) is a hotly debated topic. Context is very important. If Arabs burn an American flag in the streets of Cairo, that is a very different thing than kneeling during the playing of the National Anthem during a sports event. Public sporting events are not underwritten by our government, and they aren't by any stretch of the imagination an expression of patriotic feeling. They're entertainment, presented for the enjoyment of their audience(s), and for the sake of profit. The National Football League is a private league, a collection of very rich men and women who invest in teams and facilities as a pastime to generate financial gain. The same is true of the players, who are paid handsomely for their service. But why should we think that star players such as Colin Kaepernick, or Tom Brady, or Steve Young should be any more skilled or qualified to advise the general public about important political or social issues than anyone else? Does their ability to play a game well suggest that such figures deserve to be regarded as experts? Though most of the players in the NFL went to college, no one would suggest with any seriousness that as a class they have anything interesting or persuasive to offer about important issues. When Colin Kaepernick first began to be seen in public as the face of the 49ers franchise, he didn't even look to me to be African American. With his short haircut, and typical midwestern speech, he seemed a well-balanced fellow, neither excessively vain nor modest. But over time, he began to change. He grew big "Afro" hair, and had an air of resentment which was obvious on the field, and in front of the microphone. As the team's fortunes declined, he seem to want to transform his persona from one of talented athlete to that of a rebellious malcontent, as if to compensate for the decay of his reputation. Personal resentment can sometimes get mixed up with a false sense of entitlement. Kaepernick never struck me as particularly intelligent, so his increasingly "politicized" stance seemed to me to express an unfortunate confusion of opportunity. He ought to have let his commitment to his job, and his success on the field, be his statement. To use his celebrity and visibility to harangue the sports audience with his personal protest, was impertinent. If Kaepernick and other professional sports figures want to express their opinions about politics, they should do so in print, or in other venues. While I'm not personally invested in the notion of the public display of patriotism, I'm also inclined to view the opportunistic expression of personal opinions in sporting events as grossly inappropriate. Since professional sports franchises are business ventures, there is no legitimate appeal to the league for personnel decisions. If owners want to sign some players, and not others, that's their choice. If they wish to express their political or social opinions through their running of their franchises, that's their right. Owners are not required to hire or fire according to racial quotas, or to fulfill some idea of social justice. Personally, though I abhor Kaepernick's political antics, I think he's a very good player, and deserves to play. But he's responsible for his behavior. 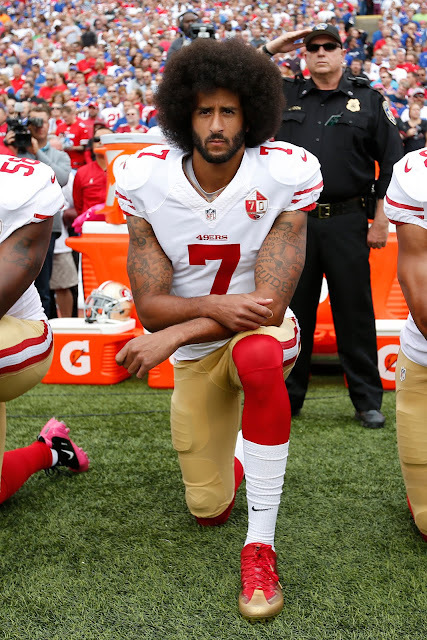 He may have the right to kneel during the National Anthem, assuming his boss(es), the team owners and management allow him to do so, but that doesn't in itself entitle him to be hired to play on the field. And it doesn't suggest to me that he's due some extraordinary esteem or admiration. Kaepernick has made a choice, one which you may or may not admire. But that doesn't suggest that any owner is obligated to hire him to play quarterback in the NFL. Kaepernick may eventually come to regret his career choices. There's a risk in taking controversial positions in public. 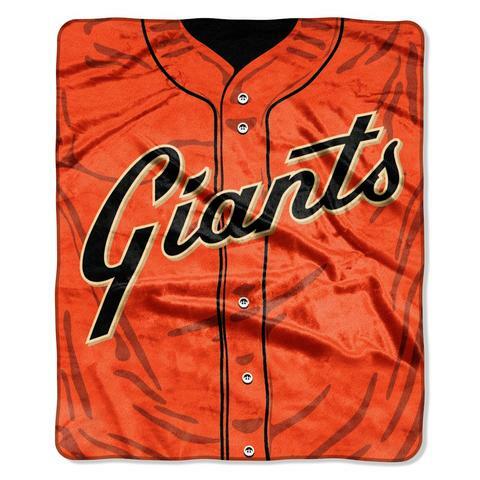 At this moment, the San Francisco Giants are 60-93, dead last in their division, with the worst record in both leagues. In 2016, the team went 87-75, and made it all the way to the second round of the play-offs, losing 3 games to 1 to the Cubs, who went on to win the World Series. The odds-makers had put the 2017 Giants in the middle of the play-off picture, picked to win 90 games. From contender to dead last in just a single year! There were signs of course. After a great first half in 2016, they had a dreadful second half. Entering 2017, the team was essentially the same as it had been the previous year, with a few minor tweaks, though those proved to be crucial. -- you wouldn't have had the feeling this line-up could underperform to the degree it has. On the analytical side, it's a line-up structured around Pac Bell Park's dimensions. In exchange for fewer home runs, you hope for a lot of doubles and triples, good defense and excellent pitching. And indeed, the championship teams of 2010, 2012 and 2014 were built around excellent starting pitching, with good set-up men and a brilliant closer. Since the departure of Barry Bonds after the 2007 season, management has consistently emphasized pitching and defense over power. Historically, success can be achieved with either formula. Some great teams of the 20th Century, the Yankees of the 1920's or '50's, for instance, were built around power. However given the legal reconfiguration of major league baseball, free-agency and salary caps, it's difficult for any team, no matter how well-heeled, to hold onto a squad of expensive stars. With respect to the dimensions of Pac Bell, a good argument can be made in favor of a team with speed and agility--stealing bases and hitting lots of doubles and triples on offense, while covering the big outfield with speed and savvy--counting on good pitching to throttle opponents' power. But any team plays only half its games at home; playing in another park with shorter dimensions can put you at a serious disadvantage if you're playing pepper while the other guys are hitting dingers. In an ideal world, you have it all, power and speed, good run production and great defense, dependable starting pitching and great closers. But maintaining this kind of balance, year in and year out, even if you can somehow bring it together temporarily, is nearly impossible. Teams form and reform, stars rise and fall, older players drop out while young ones rise. Players have good years and bad, but they seldom have them all together at the same time, with the same team. And then there are the injuries. 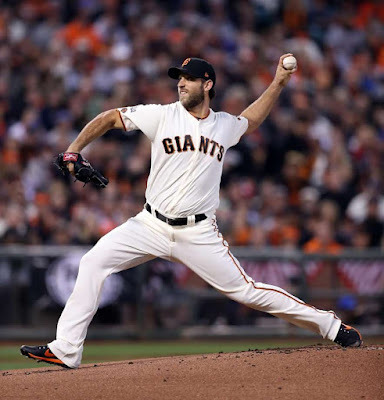 This year, we lost our ace, Madison Bumgarner, to a freak accident at the beginning of the season. Had he not gone down, he was expected to win 14-18 games. That didn't happen. Samardzija, a good journeyman starter, was exposed for what he essentially is, a very talented player who will never rise to the first rank of performers. Matt Moore, a reconstruction project picked up last year for the stretch run, had a horrible time. Matt Cain, nearing the end of his career, was a shadow of his former self, while Johnny Cueto was lost for much of the year with nagging little injuries. Ty Blach, in his first full season in the bigs, showed signs of promise. Mark Melancon, signed in the off-season to replace the departed Casilla, went down with injury, too, forcing the team to use alternatives (hello, Sam Dyson). It's hard not to think that when Bumgarner went down, much of the rest of the team didn't fall into an emotional nose-dive, especially when none of the other starters stepped up. Belt, Crawford and Pence all have had off-years, hitting well below their usual average(s). Left field--as everyone has come to characterize it--became the "black hole" which the team seemed unable to cover. Gorky Hernandez (Gorkys Hernandez??) in left field? Jarrett Parker, apparently the heir apparent, went down to injury too, so it's still unclear whether he has the stuff to be a real regular. Once the season went south, management appeared to have given up too. On July 26th, in the middle of the season, they traded Eduardo Nunez, our starting 3rd baseman, to the Red Sox for minor leaguers. Christian Arroyo, another rookie at 3rd, gave hints of a possible future, then was injured. Throughout the second half, the team has cycled in a long list of minor leaguers, has-beens and also rans--Ryder Jones, Pablo Sandoval, Austin Slater, Conor Gillaspie, Aaron Hill, Mac Williamson, Justin Ruggiano, Orlando Calixte, Mike Morse, Drew Stubbs, Tim Federowicz, Derek Law, Kyle Crick, Steven Overt, Albert Suarez, etc.--none of whom seems likely to be with any major league team two years from now. It has looked a little like desperation. Who now on the team deserves to stay next year, and become a part of a better team? 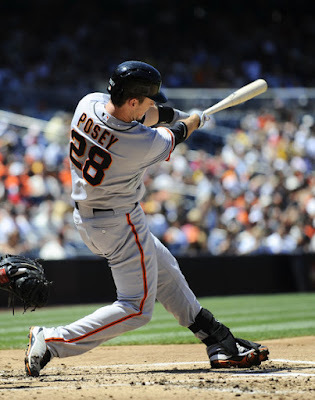 Posey seems solid, as does Panik. We'd be stupid to let either of these stars depart. Crawford's still a great fielder, and he still leads the team in RBI's, despite having an off year at the bat. Belt's been a puzzle, throughout his career. On paper, he seems intriguing, but watching him play everyday, you have the feeling he doesn't quite realize is talent. He should be hitting 25-30 homers a year, and at least .275. He also rarely performs in the clutch. Surrounded by a great team, he looks fine, but it's hard to justify his presence here, given our power vacuum. Pence is a quandary too. When he first came here, fans were overjoyed. His enthusiasm, his hustle, his combination of speed AND power, seemed perfect. But he's become injury-prone, and he seems frequently clueless at the plate, swinging at bad balls, over-anxious. Is 2016 an anomaly, or is his career on a decline? Hard to say. I like him in right field. On balance, I feel he would be hard to replace. In the past, I've recommended the team seek to improve its power, and that's my recommendation now. Traditionally, you want production from the corner positions. 1st and 3rd should give you homers and RBI's. Ditto with left fielders. We'd like a right handed power hitter (25-30 homers, 85 RBI's) at third and in left field. As Posey's career enters its second phase, it would be prudent to move him to 1st, at least on a regular part-time basis, to extend his career and reduce the wear and tear on his body. With luck, he could play until he's 40, and be productive throughout his 30's. He already has Hall of Fame numbers. On the mound, Bumgarner's the ace. He looks durable, and there's no reason to think he won't bounce back next year. Cueto's contract status is up in the air at the moment. If he elects to stay, we could expect him to put in more good years (he's only 31). Samardzija's no favorite of mine, unless you figure him for a fourth or fifth in the rotation; if he left, I wouldn't miss him. At this point, I want no more of Moore, or Cain. Melancon may or may not be as good as his rep, but Dyson is welcome to replace him, if he can. So we need one more good starter, and we need a good set-up man or two. No one the team has used this year looks good enough to stay. Gearrin, Strickland, Osich, Law, Suarez, Overt--a mediocre list at best. Once upon a time, the Giants farm system was among the best, but in recent decades, there hasn't been the same quality. My own theory is that major league baseball has too many teams, and that there's been a watering down of overall talent. Broadcasters today will talk casually about "prospects" in the minor leagues: "Then there's this fellow at Pawtucket, pretty good stuff, ERA of 5.43, a 2-5 record and impressive fast ball at 89 mph." I can remember when that kind of "performance" at Triple A wouldn't have landed you a job at the local hardware store. When I first started following major league baseball, in 1958, there were 16 teams, 8 in each league. Today there are 30. Imagine how much better teams would be today, if the best players of those 30 teams had to be winnowed down to fill just 16. Most of the marginal contributors would either be in the minor leagues, or out of professional ball completely. Players like Belt, Hernandez, Tomlinson, Moore, Strickland would probably be struggling in Double A. Is the general level of play better or worse than it was half a century ago? It's an interesting question. Can mere statistics tell the whole story? In 2018, the Giants will have to play better, and they will certainly need to make some changes. Can the team afford to bring in some sluggers, another quality starter, and some decent set-up hurlers? On paper, you'd think it would be possible. But does the management have the will? Is it a matter of money, or are there other factors? Just this week, Giants management opined that star hitters would be hard to convince to come play for the team, given its "difficult" ball park, and California tax rates. But these problems don't seem to have hurt the Dodgers, who have one of the most feared line-ups of all, and will win our division title for the fifth year in a row. When we remember someone we've known, who has died, we may choose, voluntarily or not, to recall them at a certain age in their life. We are all oldest at the point we depart life, but who we were in a larger sense, encompasses the full breadth of our lives, not just the oldest version. Few people are famous as children, or achieve fame at an early enough age that we think of them always as young, immature, and familiar. Perhaps people remember Judy Garland, or Shirley Temple in a perpetual childhood state, as if their having grown up were an afterthought to the larger-than-life quality they projected at the height of their being. 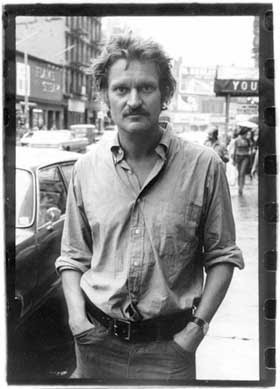 John Ashbery was precocious from an early age, but developed as a writer somewhat more slowly, reaching an impressive degree of fame in his forties, with the publication of Self-Portrait in a Convex Mirror . His earlier work had been somewhat notoriously "difficult"--a quality routinely remarked about his work. As a young aspiring poet in the 1960's and '70's, I encountered Ashbury's work first by finding a copy of his Tennis Court Oath [Wesleyan University Press, 1962] in a student bookstore while a student at Berkeley in 1968. I wasn't sure what to make of it, but its impressionistic, synesthetic qualities I found intriguing, despite my inability (or unwillingness?) to understand the narrative structure of his poems. It would be later that I would find out about his Dada, Surrealist sources of inspiration, which took some of the mystery (and intrigue) out of my earlier apprehension. When you are young, you may impute mysterious qualities to things simply because of your own innocence or ignorance. Ashbery's career unfolded in an odd way. The first two books, Some Trees and Tennis Court, were challenging and unapproachable for the general reader. Rivers and Mountains  was a bit more apprehensible, and the camp The Double Dream of Spring  seemed fully formed, mature work. Three Poems  was like meditative prose-poetry, almost a kind of philosophical tract. So when Self-Portrait appeared, its meditative flow struck just the right note, and won all the prizes. Had Ashbery finally crossed over from hermetic abstruseness to fully realized accessibility? As time wore on, Ashbery's productivity increased, turning out almost a book every two years over the next three decades. Rather than becoming clearer and more sensible, his work became difficult again. After Self-Portrait, I tended to lose interest in his poetry, which struck me as repetitive and playful in a frustrating way. Whereas Tennis Court had been innovative and experimental, Self Portrait had been a triumph, a synthesis of organization combined with unusual insights. His later work became increasingly camp and nonsensical, as if these qualities mattered most. I have thought over the last 30 years, that Ashbery had written too much, a feeling I tended to have about other writers, such as John Updike, and W.S. Merwin. It seemed to me that Ashbery had become so facile, that he could turn out a poem at any time, with his characteristically elusive elaboration, without the least provocation. Nearly all of his work is filled with fascinating observations, reports of feeling and concept--but these aspects don't necessarily cohere into unified works of art. The point Ashbery seemed to be making was that they didn't need to. He had "done that" before, so why write it again? Ashbery's long denouement will have to await the judgment of history, but for me, his career's apex is Self-Portrait, followed by a series of extended footnotes. I had two interactions with him. The first was when he generously agreed to give me poems for a little magazine I was editing in the mid-70's--which, unfortunately, I was never able to use. The second was when I discovered a book that had belonged to him back when he was a graduate student in the early 1950's. I wrote a two-part blog about my speculations regarding the influence of this text on his work, and he wrote me about it. In both instances, he was cordial and not in the least difficult or condescending. Ashbery was among the handful of writers who were important to me in my writing life. Sophisticated to a fault, deeply intelligent, open-minded, mischievous, ambitious and tireless. The photo above would be from about the time he would have been writing Self Portrait, I think. It shows a young man, casual and relaxed, with an intense curiosity and determination--qualities that you can sense in his work. Ashbery lived a very long life, and was totally redeemed by his successful writing. When someone lives for that long (aged 90) there is little to mourn, because nothing is wasted. He used it all up, a self-consuming artifact of time.